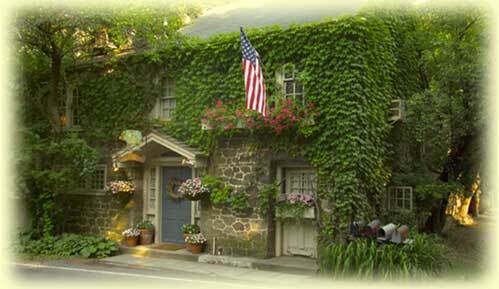 The Inn at Phillips Mill is an 18th century stone barn on the National Historic Register. We offer romantic dining by the fire in winter and on a flower-filled patio in summer. Points of interest in the New Hope area include historical sites, museums, art galleries, flea markets, antique shops, and mule barge rides. The Bucks County Impressionists started at Phillips Mill, and there is a Juried Art Show every Fall.